ACOM, the pro-Israel organization that fights against anti-Semitism, and discrimination in any form or shape, filed a lawsuit to stop and defeat the Council outrageous resolution.In the latest months, ACOM has established itself as the reference organization in Spain in the fight against the BDS movement. ACOM has strengthened a very efficient and compact team, well experienced in International Law and Communications, supported by a network of activists in social media. Already four city councils have accepted our arguments, surrendering their boycott decisions before a Court of Law. Now a Court has by the first time, addressed the merits of our case. It is an absolute legal victory for the Israel advocacy that has the most far-reaching, legal implications. 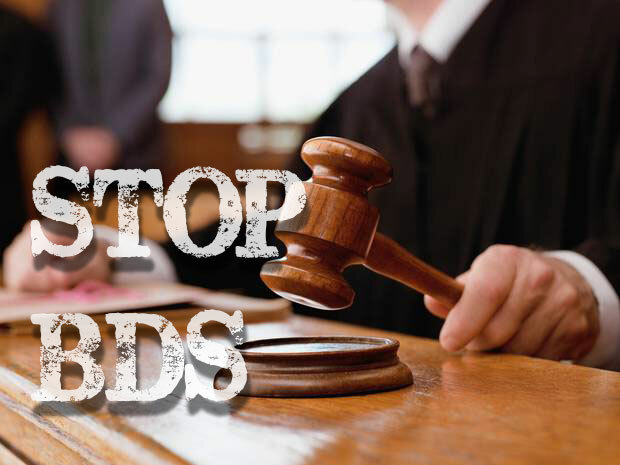 Our reasoning, proved persuasive and successful in a Spanish Court, is clearly applicable to other countries and could be extremely effective in the global fight against BDS”. The City Council of Langreo passed the boycott decision on 28 January 2016. The Council endorsed the boycott against both Israel and any person or company that might support the Jewish State, with the excuse of alleged Israeli violations of Human Rights and International Law. The decision proclaimed the city as ‘Free of Israeli Apartheid’, and committing the cooperation of the city with the boycott, disinvestment and sanctions (BDS) campaign against Israel. The judgement of Court number four of Oviedo renders the boycott against Israel null and void. The reasons for the judgment explain that it is safe to say that the boycott brings discrimination and it is tantamount to incitement to hate crimes. The reasons mention both the infringement of the case law of the European Court of Human Rights, and the European Council Directive on equality, as well as the lack of competence and the misuse of powers by the City Council. Langreo (42,400 inhabs.) is a town in the North of Spain, whose council is ran by ‘Izquierda Unida’ (Communist Party), and ‘Podemos’ (a extreme-left party famously financed by Venezuela’s totalitarian government and Iran). ACOM effectiveness in actions against the BDS in Spain, and its aggressive strategies, have found a broad and positive support in pro-Israel institutions and in the Jewish Communities of Europe, USA, and Latin America. Over the next months, ACOM will implement new proposals to strengthen international partnerships in the fight against the BDS movement and Anti-Semitism. PLEASE JOIN ME AND ALLOW ME TO HELP YOU IN YOUR STRUGGLE AGAINST BDS AND ANTI-SEMITISM IN SPAIN.